What’s so special about Melbourne? It’s no secret that the wider property market in Melbourne has held up very well recently. During a period where slight loss of momentum was generally expected; especially given the slowing down of the boom of Sydney’s property market, Melbourne has maintained a steady level of growth. The question is… HOW? How is it that Melbourne’s property market has somehow outperformed that of all other capital cities? 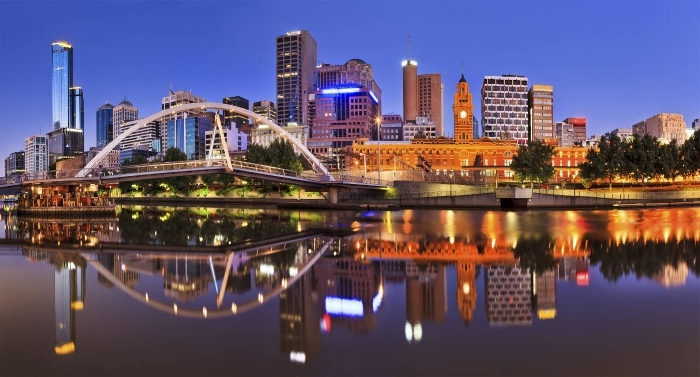 In this blog, I will explore exactly this; what makes Melbourne so special? Home to approx. 4.5 million people, Melbourne’s demographics speak volumes about the cultural diversity of the city. Melbourne is home to residents from an estimated 180 different nations, speaking over 230 languages, and following more than 100 religious faiths. Immigration from Asian countries such as China and India has accounted for 32% of overall growth in population. Of the approx. 130,000 Melbournians living in the inner-city (the CBD), more than half are aged between 16 and 36. As per Census data, this would be strongly influenced by the high number of higher and tertiary education students residing in the city. Another pointer to note, Melbourne received a perfect score of 100 for its world-class infrastructure in the 2013 EIU Livability Report. Residents of the city enjoy the use of some of Australia’s most technologically advanced systems of road, rail, and tram infrastructure. With a wide scope of transport options for locals, it is clear that Melbourne’s infrastructure has undergone consistent, ongoing investment. The city is also home to a number of world-renowned educational institutions and universities such as The University of Melbourne, Monash University, Deakin University, and Victoria University, thus emphasizing Melbourne’s strong educational focus. Complimenting Melbourne’s range of public transport options, the city’s layout resembles that of a grid; specifically, the ‘Hoddle Grid’ (named after its designer Robert Hoddle). Most Melbournians know all the streets of the ‘Hoddle Grid’ by name and the order in which they occur, further reinforcing Melbourne’s widespread ease of access and simple layout. Like much of Australia, Melbourne is making the transition from a manufacturing state to that of one driven by service-based industries. Further, this transition is creating strong growth in jobs, as well as overseas and interstate migration. As a cosmopolitan city, Melbournians are employed in various diverse industries, from hospitality an tourism, to commerce and trade. While Melbourne’s economy is not as robust as it once was, the city’s property market is still generating wealth for many residents, as the value of their homes continues to rise. At Calla Property, we understand the significance of getting the location right when it comes to investing in property. Our research methodology, Calla Property Insights assists us in finding the best investment opportunities in the country. Considering factors such as economics and employment, supply and demand, population and demographics, and infrastructure spending, our macro research enables us to determine which geographical regions are forecasted to experience strong capital growth. http://www.callaproperty.com.au/wp-content/uploads/2018/09/static1.squarespace-300x155.jpg 0 0 support@curatebee.com support@curatebee.com http://www.callaproperty.com.au/wp-content/uploads/2018/09/static1.squarespace-300x155.jpg support@curatebee.com support@curatebee.com2017-11-20 22:58:002018-12-03 04:29:47What’s so special about Melbourne? The top 3 things you need to know before investing in Brisbane What is Lenders Mortgage Insurance?